This is a classic wakazashi from the Yoshii Bizen line of smiths. Condition is very good for a sword made back in the 1400’s. The smiths name is Naganori and is highly rated at chujosaku. 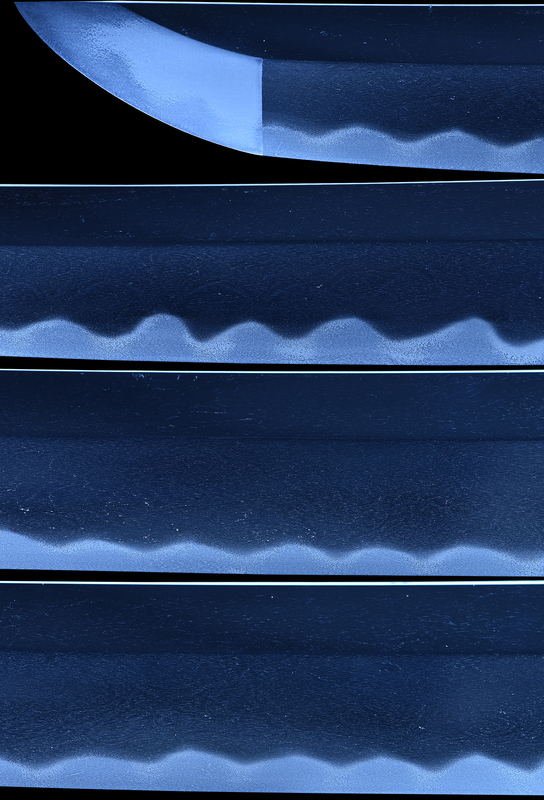 The hada on this sword is dark and rich looking. 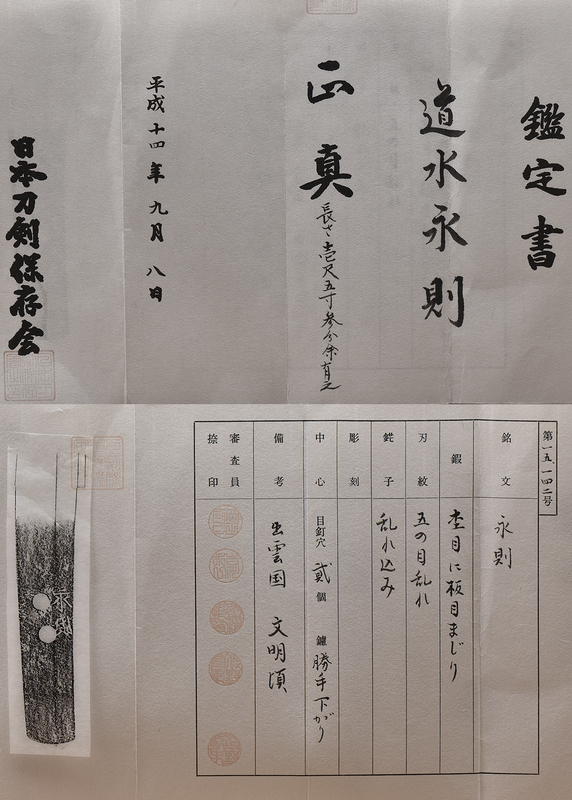 The ko-gunome is very well done and in the styes that Naganori worked in. 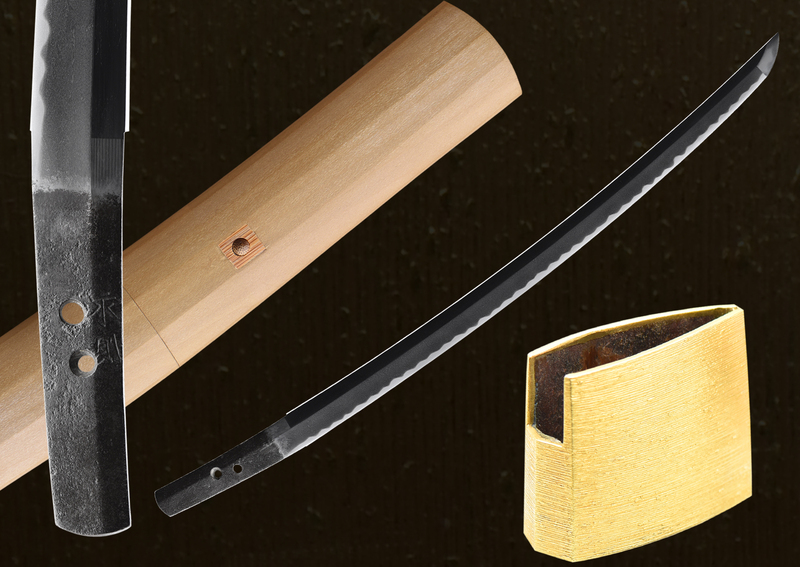 This sword comes with a gold foiled habaki and in Shirasaya. It is papered by the NTHK authenticating its quality and maker. He is the son of Yoshii Kiyonori, his works are thought to extend from Eikyo to Chokyo. He later moved to Izumo. 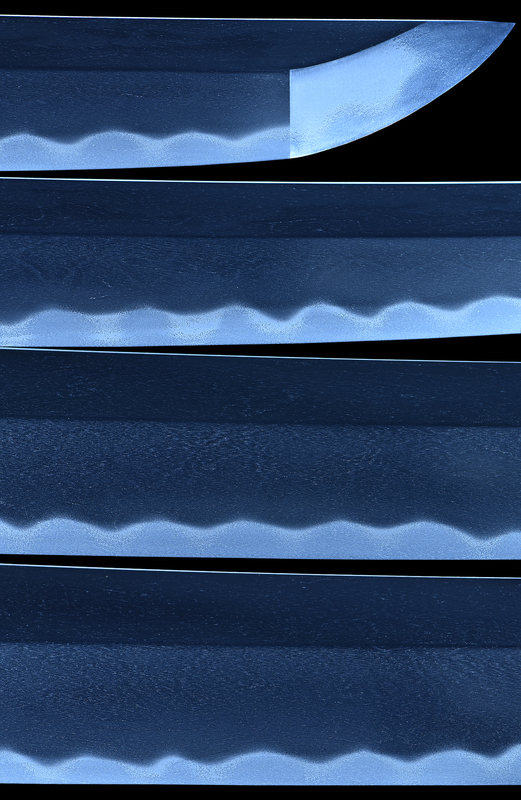 His works are largely tanto or hirazukuri wakazashi (this blade unique to his regular shape), hamon is uniform ko-gonome or suguba.